27 Mar What is the Best Free SEO Tools in 2019? You may have built a user-friendly website with a good interface. You have also created the best keyword-filled content for your site. Still, without the SEO tool, you will not be successful in your marketing campaign. However, the new brands and small businesses do not have a high budget to invest on the paid tools. 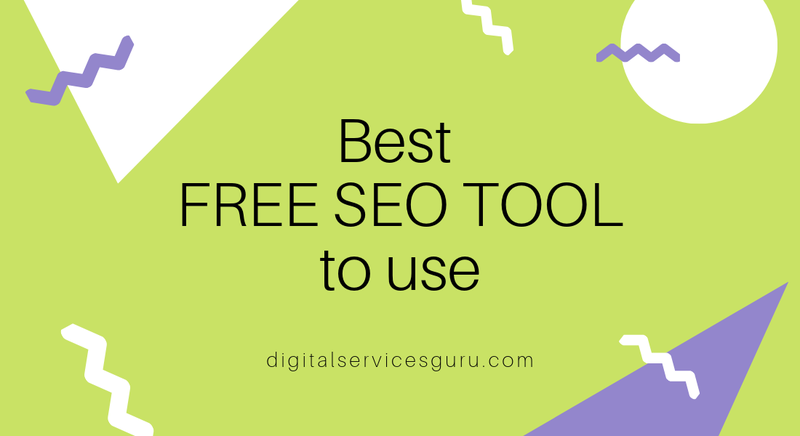 Thus, we have listed the free SEO tools, useful for digital marketing in 2019. This is one of the free tools to make your website mobile optimized. While your site does not work for all the mobile platforms, you may face issues. Thus, Mobile-Friendly Test is a very useful tool to prepare your site for the new algorithm of Google. This user-friendly tool helps you to find keyword-related information from the web world. You may use this tool to research on the keywords. You can get information on CPC and search volume. There is no issue to login from any place to have the information. You will have the details while shopping on Amazon or watching YouTube videos. The best feature of this tool is that it is capable of uploading 10000 keywords at a time. From the name of this tool, you can guess that it has some relation to Reddit. This SEO tool helps in scraping the terms or words, used by several users on the subreddits. Take time to get advantages from this tool. You can find Reddit thread list, where the chosen keyword is present. You will be able to make out the number of potential customers, used the keyword in their conversation. This is another tool for checking the usability and speed of your site on various devices. You can enter your URL for testing its loading time. Assess its performance on the mobile and desktop platform. Thus, you will get a chance of improving your site. The tool shows you the report with grading and scores. For a comprehensive analysis of links, you may use this tool. The free version is available for the new users, and it reveals the best 100 backlinks to your site. Get the instant opportunities for link building. Although it has a paid version, the freemium one is also full of features. You can find out the most relevant keywords, used by your competitors. You may identify the keywords that have provided your competitors’ website with a higher rank. For the SEO analysis of your site, you can rely on this tool. By crawling your site fully, SEObility enables you to find out the issues of SEO. For instance, you can check out the blocked pages, technical problems, sitemap errors and slow loading webpages. You will find the best way to increase the rank of your site very easily. The above tools have become highly reliable to the SEO professionals and marketers. Thus, you may also choose any of these free tools for the full SEO analysis.